Living in the thick of Barcelona’s electric metropolis is an experience that isn’t made for everyone. Late nights, crowded beaches, and noisy neighbors may make the centre of the city an unappealing option for second home buyers. 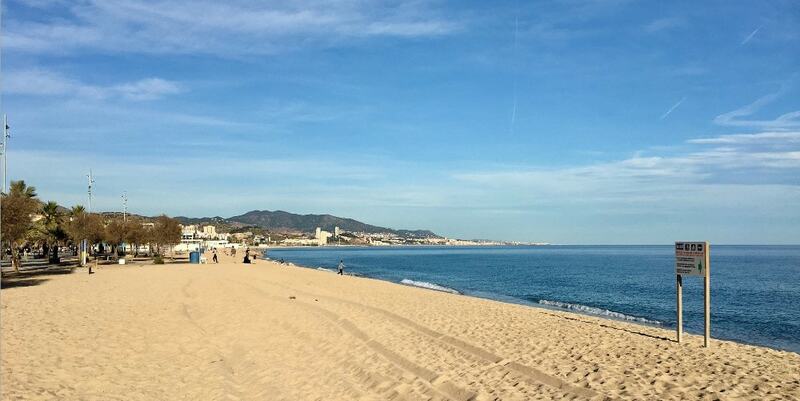 Instead, flocking to the outer suburbs of Barcelona is a wiser choice. Prices are lower, neighbors are quieter, and yet all the conveniences of Barcelona are just a train ride away. Homebuyers can start their search with a Bonavista property situated in a serene locale just a few miles outside the city. If you’re after an apartment here, you can expect a price per square meter average of Average price per sqm. in €1,587 -3% properties#: 4 last change on: 4 Mar 2019 €1,587 . The adjoining neighborhoods of El Canyet and Bonavista are located approximately fifteen kilometres northeast of Barcelona proper. They can be accessed from Barcelona’s Plaça de Catalunya train station in 45 minutes. Residents can reach Barcelona-El Prat International Airport—located on the opposite side of Barcelona—in less than thirty minutes by car. Bonavista presents a variety of second home opportunities, with both apartments and stand-alone homes available for purchase. Bonvista properties are conveniently close to amenities that residents rely can on for everyday needs. There are various restaurants and shops that are accessible by local bus or car. For emergencies, the University Hospital of Germans Trias i Pujol (also a hospital affiliated with the Universitat Autònoma de Barcelona) lies at the northern end of the main thoroughfare—Carretera de Canyet. The nearest fire station is the Parc de Bombers de Badalona where Carretera de Canyet meets the B-20. In the city of Badalona, Bonavista residents can visit the Badalona Museum to view ruins of the original Roman city of Baetulo. Here, they can learn more about the city’s origins and development throughout history. Hiking trails surround a fifteenth-century Gothic monastery at Sant Jeroni de la Murta, which sits nestled nicely in the valley just west of Bonvista. Canyet and Bonavista back right up to a collection of hills where hiking and biking paths abound. All offer views of the Mediterranean Sea and Barcelona. Slightly farther north is the Parc de la Serralada de Marina, another natural expanse that provides a quick getaway. Due to its location just five kilometres from the beach, residents who purchase a Bonavista property can enjoy countless opportunities for watersports such as surfing, kayaking, and windsurfing. El Canyet is home to the Badalona Rugby Club, the Badalona sports and gymnastics center, and the Hipica Badalona health club. 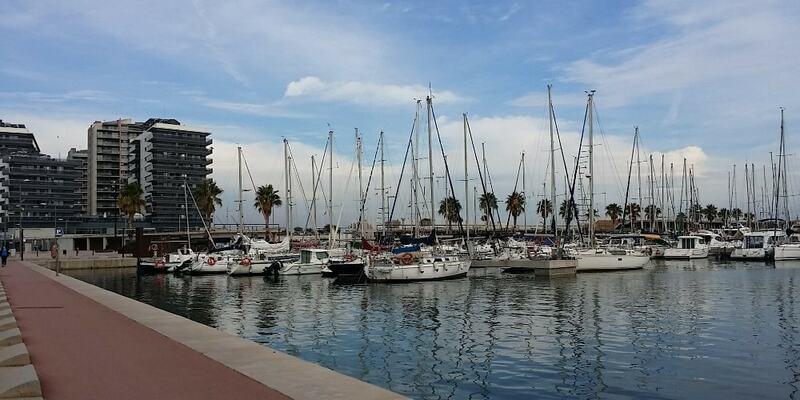 Yacht enthusiasts can visit the EMV Marine Yacht Refit , just beyond the Badalona Marina and boat rental stations. Each May, Bonavista residents celebrate the patron saint of Badalona during the feast of Anastasi. At the Badalona promenade, the town hosts live music and a “Crema del Dimoni”, or devil burning, accompanied by fireworks. Other events that take place in the town include impromptu performances of Sardanes (a traditional Catalan dance), a Badalona-wide bobbin lacing event called the Trobada dels Puntaires, and the Festa Baix a Mar where residents feast on sardines by the water. Each Catalan neighborhood has its own “festa” in the summer, and Badalona’s annual event is in August. Annually in November, Badalona hosts the Filmest Film Festival at the Teatre Principal and the Teatre Zorilla. These two performing arts venues also host live performances, stand-up comedians, and other events throughout the year. Mary Gallery just outside of El Canyet welcomes art lovers into an inviting and inspiring space. Restaurants near Bonavista properties serve varied cuisines as diverse as the city itself. Venture to nearby Santa Coloma de Gramenet for a uniquely modern twist on traditional Catalan cuisine at Lluerna. Or, opt for a more family-friendly meal at Ca n’Armengol, which features a tasting menu as well as an à-la-carte menu of Mediterranean seafood. Although just outside Barcelona city limits, a Bonavista property sits on the precipice of Catalonia’s capital. It still enjoys the ripple effects of the stimulating and satisfying culture.